It is the morning of the biggest college football day in years?, decades?, ever? Actual honest to Boola! Boola! Betty Coed bowl games that really, really mean something. Games with intrigue, tradition, unis both funky and classic, fascinating story lines, gravity. Rah, Rah, Sis Boom, Bah! TCU has now proven twice in a row that it should be playing in New Orleans tonight instead of the Buckeyes. That said, Ohio State vs. Alabama, Saban vs. Meyer is Ali vs. Frazier, Roll Tide vs. O*H***I*O, about as big time a meaningful gridiron battle as any college pigskin fan could want. There’s even actual football weather in Pasadena for the Quack vs. Seminoles, where the Fahrenheit is hovering at the freezing mark. Keep those roses warm. So, on this boffo pigskin day, I want to take a quick look back at the Louisville Cardinals, and gaze beyond the horizon. Come one, come all. Come on in the Big Time Big Top Big Tent. It’s a three — count ’em, three — ring circus. Each one full of incredible feats of daring do, leaping, twirling, whirling, acts of prestidigitation that will amaze and astonish you. In one ring, no mere band of bearded ladies. No, no, no. We’ve got rivalry day dance down of the national championship dance teams. One in red, one in blue, swirling and twerking in unison, simultaneously, loser leaves town. In another ring, yo mama, yo papa, trash talk smackdown. A pushing, shoving whirligig of verbal testosterone. Before, during and after the game. Make sure the kiddies have plenty of cotton candy mom and dad, to eat and fill their ears. And in the main ring, rock ’em, sock ’em, take this, take that, anything you can do I can do better battle of pigskin. Seven, count ’em, seven lead changes. Nobody will want to leave your seat until the final horn sounds. It’s Turkey Day Weekend Rivalry Football, the way Bronco Nagurski, Walter Camp, Woody, Bo, the Bear and the Pipe meant for it to be. Yowza, Yowza, Yowza, come one, come all. Luck is the daughter of intervention. Okay, uh, maybe I just made that one up. Louisville infant terrible Dr. Hunter S. Thompson said that. While it really doesn’t apply to my point here, I’m going to keep it in. Because, well, it’s my blog. Better to be lucky than good. I know that’s one that’s been uttered way too many times before. 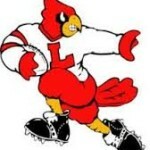 However one might choose to make her more literary than she deserves, Lady Luck was with the Cardinals during their second drive of the second half. That minor miracle was merely a set up for the Play of the Game, which came soon thereafter. This is why football coaches aren’t the same as you and me. When Louisville coach Bobby Petrino was asked about the extreme heat and humidity, and how it might affect preparation for and play in next Monday Night Football’s battle with conference rival Miami, he smiled that mischievous little grin of his. You know, when the going gets tough, the tough get going. Etc. U of L Cardinal football fans are in a depressed state today, anxiously awaiting the word on the extent of star DeVante Parker’s foot injury. Have x-rays shown a break? Is he wearing a cast of some sort? We simply haven’t been provided any information of substance, beside the notification that he’s hurt. Parker tweeted that he’s “fine.” Whatever that means? On Sunday, he fed his offensive and defensive studs — DeVante Parker and Lorenzo Mauldin — to the buffet known as ACC Football Media Days. Before I get to some quotes from the two Cardinals that struck me as telling, some observations on the visuals. Given my all too rapid advancement into my “mature” years, I often look at college kids, and express how they look like they look about Bar Mitzvah age (13 years old). DeVante Parker — I guess this is the first time I’ve ever seen him without a helmet on — looks older and more mature than his years. Kind of like his stellar, already ready for the NFL game. And, Mauldin, well, Lorenzo showed up in Greensboro with red-tipped dreadlocks. 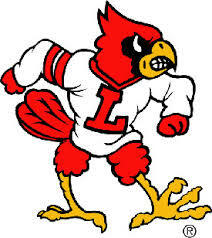 In the aftermath of U of L’s evisceration of the Hurricanes in the R A Bowl, f/k/a Citrus Bowl, one has to wonder what coulda, woulda, shoulda this season, had the Cardinals played with such passion, poise and precision all year long? A date with Baylor in the Fiesta Bowl? At the very least. A duel with future ACC rival Florida State for the BCS title? Well, uh, conceivably. Last night’s W was a beat down of the highest order. There are really only three questions left to be answered about Teddy Bridgewater, who, it is clear beyond peradventure, is the Best Football Player Ever To Wear A Louisville Cardinal Uniform. Those of you ready to shout out, “Johnny U,” shut your trap. 1. What’s your favorite nickname for the QB whom I’ve taken to calling Teddy B? Teddy Icewater? Teddy Bridge Over Troubled Water? Teddy Ballgame? Teddy Football? 2. 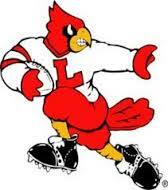 Where does he stand among the Best Jocks In Any Sport Ever To Play For The Cardinals? In other words, if you were ranking him among a list that includes Grif, Wes Unseld, Angel McCoughtry, which slot would you give him? 3. Might he, could he, is it really possible he might actually return for his senior year?